Samsung first introduced its new over-sized 12.2″ tablet, the Galaxy Tab Pro 12.2, at CES back in January. The company announced this morning through a press email that the device goes on sale through major US retailers beginning March 9, for the price of $649.99 at 32GB. Retailers for the device include Best Buy, Walmart, Amazon, Tiger Direct, PC Richard and Sons, Fry’s, and Newegg. If you have purchased a Galaxy-branded device in the past year or so, then you will know that Samsung is quite generous with its Galaxy Perks. These deals are usually paid services that Samsung gifts to you for free for a limited period of time. 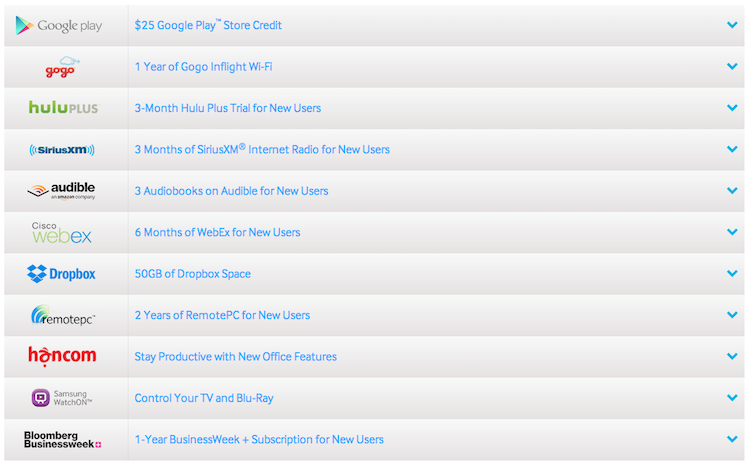 For example, the Galaxy Tab Pro 12.2 will come with $25 worth of Google Play credit, 1 year of Gogo Inflight WiFi (makes the purchase worth it right there), 3 months of Hulu Plus, 3 months of SiriusXM radio, 50GB of Dropbox online storage, and even more. The total gift package totals over $800. Look below for the list of Galaxy Perks coming with this device, and if you fancy purchasing a tablet with a 12.2″ display, then now you know where to go on March 9.